Create an entirely new space for living and improve your quality of life. A deck isn't just for a relaxing dinner with friends on a lazy summer evening. It's not just for brunch and drinks with the family on a warm spring morning. It could also be for lunch on a picturesque fall afternoon under a deep blue sky with beautiful foliage all around! By incorporating a fire feature you can enjoy those fantastic, crisp fall days. A warm fire makes a perfect place for the family to gather on a snowy day, drinking hot chocolate and toasting marshmallows while the kids play in the snow! Your deck is all about making memories and it's as close as your backyard. Enjoy a renewed space for living, relaxing, enjoying family & friends. Remodeling and updating your existing deck can be done for a fraction of the cost of total replacement. Replace the decking, rails and stairs with any of a large variety of durable hardwoods or synthetic materials. Add a new lattice to wrap the base of the deck for a finished look. Add a pergola to create a shaded area and define space for dining. No more dangerous splintering wood or unsafe stairs that are not correctly placed for how your family uses your deck. You can add that extra set of stairs you have always wanted or remove unused steps to create more space. Replace your old, chemically treated lumber with gorgeous hardwood or opt for low maintenance synthetic decking to add value to your home and joy to living every time you step onto your new deck. We put quality into every detail. Your deck is an extension of your living space. It should reflect the quality and design of the interior of your home. 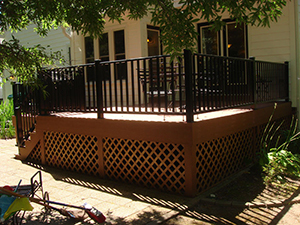 We accommodate you by designing a deck that works with your budget and style. Every deck we build features all the fine, detailed carpentry that sets our projects above the competition. We fabricate hand rails with custom details and trim. We can create exotic wood inlays to make your deck look like custom built furniture. Choose from classic or contemporary rail systems with a large selection of designer balusters to add a personal design element. We offer custom designed lighting for nightscaping your deck to enhance its beauty during those evening gatherings. Quality materials and the finest workmanship go into every detail to make your deck a work of art. 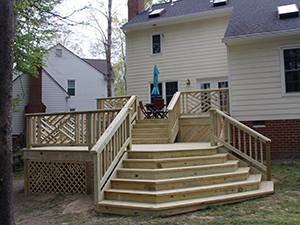 If you are thinking about building a deck in Richmond VA, Fredericksburg, Chesterfield, Charlottesville, Glen Allen, or anywhere in Central Virginia, look to BNW Builders. With a new deck you will find yourself enjoying the beautiful outdoors with your friends and family more than ever before. It’s a perfect place to host a gathering, read a book, or simply enjoy the scenery. 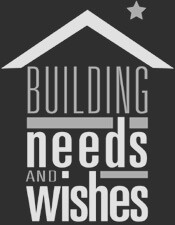 Whatever your reasons, call today let BNW build the deck of your dreams for less than you might think. 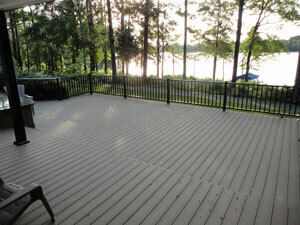 WOLF Decking offers all the advantages of premium performance without the premium price. Now, with four distinctive collections to choose from, you can enjoy a more attractive low-maintenance deck year after year. 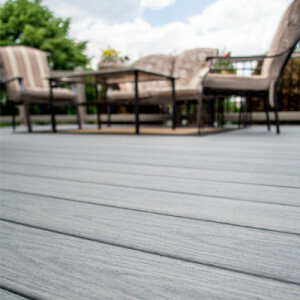 Which WOLF decking materials you should choose? You can't go wrong, but one may be just right. Both pure PVC and PVC composite decking offer significant advantages over wood. Capped products, found in our Island Collection, offer an additional layer of strength to resist damage and wear. 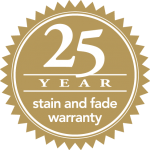 All provide design flexibility and durability for years. The Tropical Hardwood Collection features WOLF PVC Decking bold, rich colors backed by our 25-year Stain and Fade Warranty. 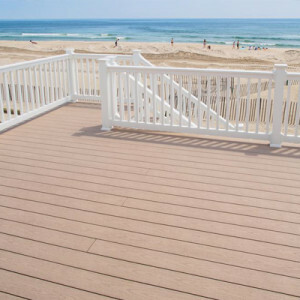 PVC Decking will not split or rot, does not need to be stained or treated and is extremely easy to maintain. The Seaside Collection features WOLF PVC Decking in the best waterside shades. Sand Castle and Harbor Grey are perfect for your waterside dock or your beach getaway.